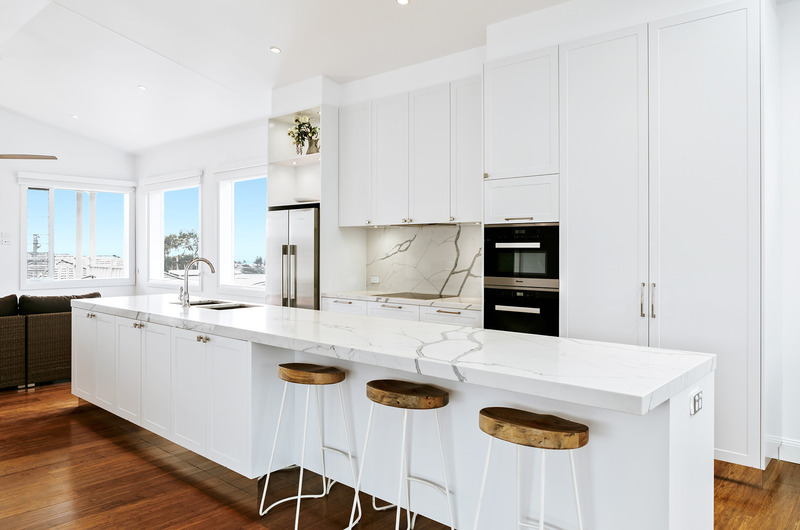 With one of Smartstone’s popular veined surfaces as bathroom benchtop, Logico Homes’ Harrington Park Ensuite had won the Medium Bathroom category and Bathroom of the Year in the 2018 HIA Awards for the NSW Region. The lavish open-planned ensuite forms the heart of the Master Suite, transforming the space into an ultimate sanctuary for luxury and relaxation. 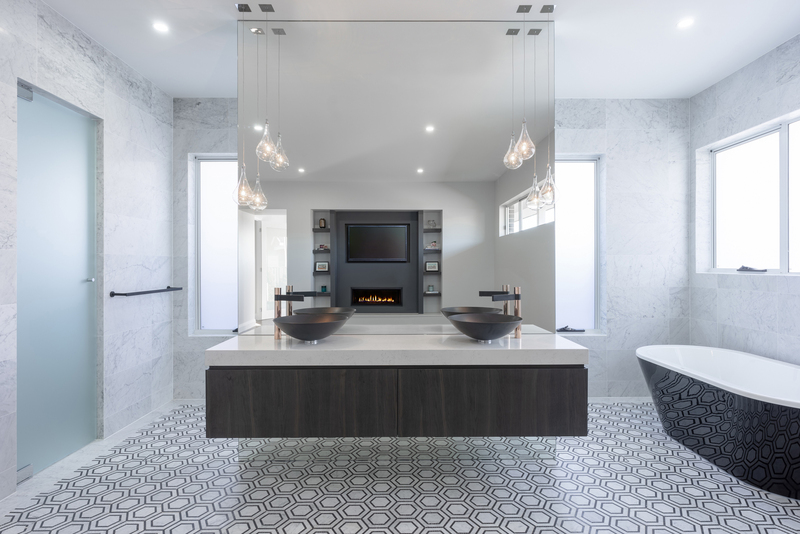 Also a finalist in the Bathroom Design category, the innovative bathroom combines the textures of the graceful Carrara marble tiles backdrop, matte black fixtures, delicate glass pendants and lustrous hints of rose gold tapware to add warmth and entice relaxation in this tranquil retreat. 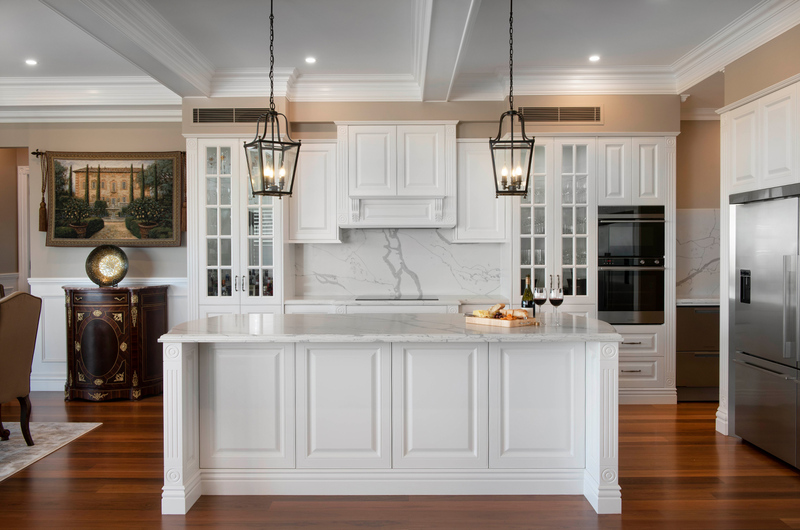 Logico Homes partnered with Mii Kitchen in the cabinetry design for this project. 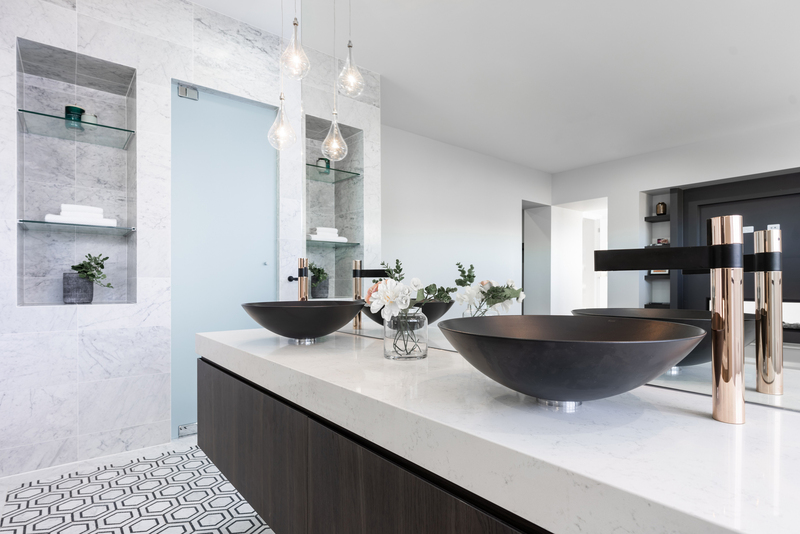 With a subtle, random grey vein on a white background, Smartstone Amara was selected as vanity benchtop to complement the colour scheme of the bathroom. 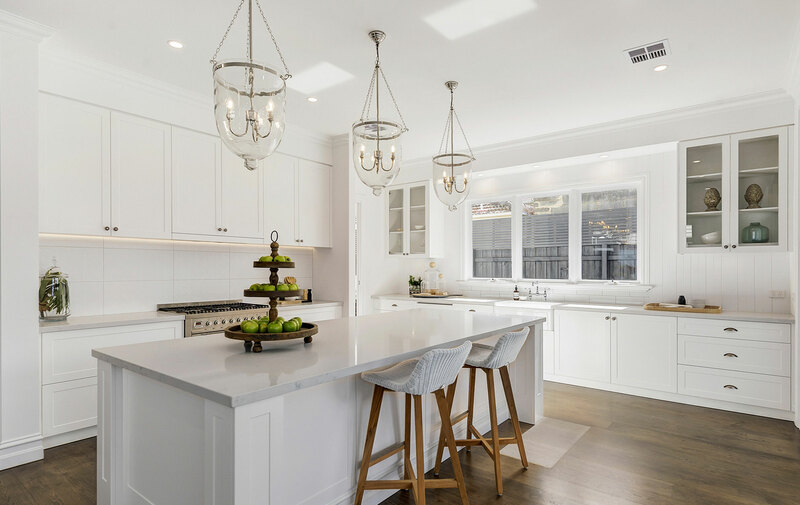 Amara is one of several veined quartz surfaces that Smartstone currently offers. “The innovative approach to the project is demonstrated in the removal of the conventional wall separating the bathroom from the living areas. 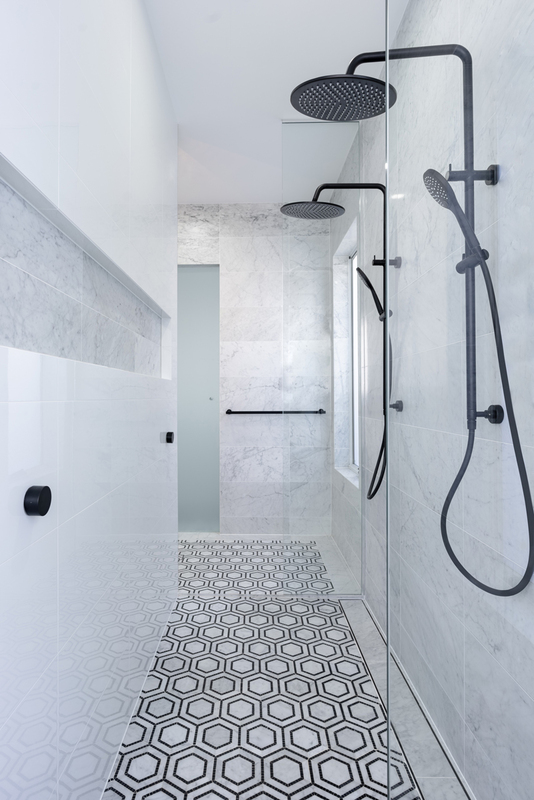 A continuous flow of movement is achieved between the Ensuite, Master Suite and Retreat,” said Logico Homes Interior Designer Annie Calarco. Glimpses of the flooring and living spaces are captured in the feature floor to ceiling mirror which enhances the illusion of a large, uninterrupted space. Within the mirror’s reflections, the vanity appears as an exquisite floating ornament.